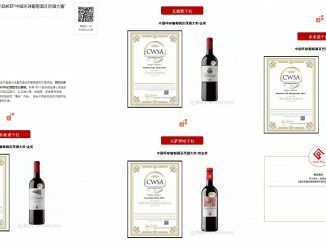 The biggest and most prestigious Wine & Spirit Competition in Hong Kong & Chinanamed our red wine Il Borro 2010 as the best in quality and for its suitability of the style for the Chinese Market.It is an important recognition, that makes me feel very proud. 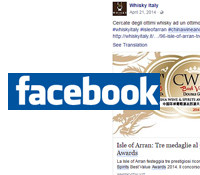 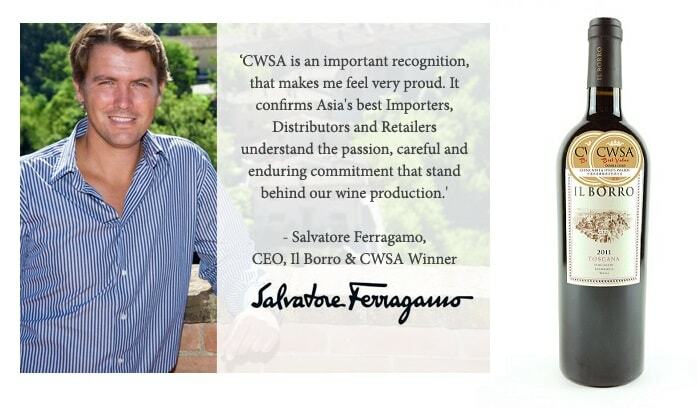 It confirms to the Asian best Importers, Distributors and Retailers, the passionate, carefully and enduring commitment that stay behind our wines production.This words of Salvatore Ferragamo, CEO at IL Borro, confirm the satisfaction of a so important prize. 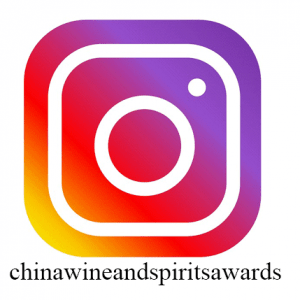 An award even more valuable: the jury is composed of 100 selected buyer, professionals and the true focus of the wine market.